Moisture problems in a building can be a huge issue for businesses. The problem with moisture is you sometimes don’t even know it’s present until it’s too late. Once mold and mildew start forming, you could be dealing with significant repairs and potential health issues for yourself and your employees. The good news is regular thermographic scanning can detect areas where wall moisture is present. This allows you to address the area before it gets worse and causes significant issues. 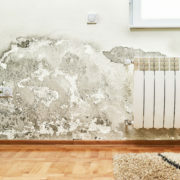 How does wall moisture really develop and what can you do to prevent it? Here are some facts and points to consider. Many infrared inspection services realize wall moisture is simply a result of poor construction, especially in the drainage system. Some structures simply aren’t built to handle water drainage, no matter how structurally sound they are. This is one of the reasons why infrared thermography testing is critical before purchasing or leasing a new office space. When water sets in certain areas, especially on the roof of a building, wall moisture is inevitable. Thermographic scanning plays a large role in identifying large-scale issues that could lead to wall moisture at some point. Any time you have cracks or holes in your wall, there’s a huge risk of moisture intruding. Moisture could hide in between the walls for a long time before you ever notice an issue. However, when you do an infrared thermography scan, thermographers will be able to detect the presence of moisture because of the temperature difference in certain areas. 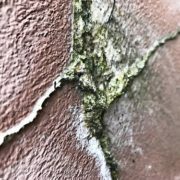 When these areas are identified, you can address the crack or hole immediately to prevent mold growth or other larger issues. If your building is in an extremely hot and humid environment, you always have to be concerned about moisture developing where it shouldn’t be. When you combine moisture with heat and small spaces, you’re sure to develop mold and other issues requiring extensive repairs. The good thing about infrared inspection services is the IR technology can quickly and easily identify areas where moisture is present. This could be on a roof, in walls, in a basement, HVAC systems or anywhere else you normally don’t look. Humidity and heat are uncomfortable to begin with, but the combination can also lead to tough consequences for your business if it leads to wall moisture. Infrared Consulting Services is the leader in providing the best thermographic scanning services in the industry. Our certified thermographers can not only detect wall moisture, but can also help you identify the root of the issue so it won’t occur again. Be sure to contact us to set up an appointment or to learn more about our services and how we can help your business. http://irtest.com/wp-content/uploads/2017/06/Blog-50517200ftl.jpeg 3840 5760 InfraRedConsulting http://irtest.com/wp-content/uploads/2014/11/infrared-testing-service-logo.png InfraRedConsulting2017-06-20 08:00:142017-06-01 16:52:23How Does Wall Moisture Develop? Businesses today don’t have the time or money to deal with unexpected issues. Some issues may only slow down production for a few minutes or hours, but other larger-scale issues could force production to shut down for days. If nothing else, the benefits of infrared inspection are to help business owners see a potential problem before it becomes a large-scale issue. Certified thermographers can detect issues in electrical equipment, HVAC units, production machinery, building envelopes and roofs. By conducting regular infrared problem prevention testing, business owners will appreciate both short-term and long-term benefits. Due diligence on new properties. Purchasing a new property can be stressful, since you never really know how good of shape the building is in. One of the benefits of infrared inspection is you’ll be able to see what areas need attention before you make the purchase. This could include mold issues in the roof or other potentially problematic structural issues with the building. Targeted Repairs. Infrared inspections can identify exactly where the root of a problem is. If there’s some moisture getting through a spot on the roof, certified thermographers will be able to see exactly how large the affected area is so the repairs can be limited to that area. Find the source of leaks. The human eye can only see so much. If you notice water dripping from the ceiling, you know the roof is leaking, but you can’t immediately see why or where the source of the leak is. Infrared testing can lead you to the source of any leak so it can be fixed permanently. Lower Energy Bills. When your equipment is running efficiently, or if you don’t have a leaky roof allowing air to escape, you’ll be saving a lot of money on energy bills. Regular infrared testing can ensure this is always the case. Reduce unexpected repairs. You don’t have to expect the unexpected when you have regular infrared inspections completed. You’ll be able to identify even the smallest issues early enough where you can get them fixed before a big repair is necessary. Avoid major issues. Whether it’s a mechanical failure in a production machine or a building roof failure, these issues can be devastating to a business. 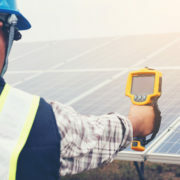 Infrared testing is worth the price to pay to avoid these major issues, which could put a serious burden on a business. Infrared Consulting Services has been in business since 1988 to help business owners eliminate major issues with their equipment or property. To learn more about the benefits of infrared inspection, or to set up an appointment, be sure to contact us. The summer months are upon us, meaning temperatures are going to be on the rise and HVAC units will be working overtime. Facilities struggle with high energy bills every summer because the AC unit is seemingly operating non-stop. What many business owners don’t realize is they are wasting a lot of energy due to air leaks, poor insulation and other issues. 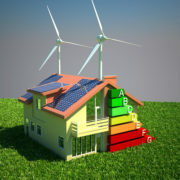 These cause HVAC units to work harder than they have to, which drives up energy bills. Certified thermographers can help facilities stay cool all summer long and also potentially reduce the cost of energy bills. By identifying holes and leaks in your facility with infrared technology, you’ll be able to enjoy the coolness of being indoors without breaking the bank. Here are some reasons why infrared problem prevention is the way to go. One of the main benefits of infrared inspection is identifying air leaks. These leaks could be coming from the roof, walls, ceiling, windows, doors, insulation or anywhere else. Regular building maintenance checks sometimes won’t be able to detect these leaks because they are so small and are in areas where the naked eye can’t see. When you hire certified thermographers, they will be able to detect temperature differences on all of the potential problem areas. You may be surprised at how much air is leaking out of your facility on a regular basis. Once these air leaks are identified, you can take the necessary steps to plug them up so all of your cool air will remain inside. HVAC units will work hard during the summer months whether you have air leaks in your building or not. The harder the units work, the more potential issues they will have due to faulty or worn out components. It’s important to do an infrared problem prevention check on your HVAC system frequently, and especially throughout the summer. Working hard and working efficiently are two different things, and you’ll definitely notice the difference on your energy bill when your unit is working efficiently. 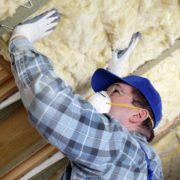 One of the most difficult things to see is whether the insulation in your facility has any damage. Moisture could have intruded through the walls or roof and damaged the insulation, making it essentially ineffective in some areas. These are the types of issues certified thermographers look for when they conduct an infrared inspection. Faulty insulation leads to indoor air escaping and making the building hotter during the summer. The trickle down effect of poor insulation could lead to big energy bills and equipment replacement costs later on. At Infrared Consulting Services, we know businesses operate better when working under ideal controlled conditions, so we want to help. Be sure to contact us to see how our certified thermographers can help keep your facility cool all summer long. A building envelope is literally the part of a building you can draw lines around. The components include the walls, roof and foundation. These are obviously the most important components of any structure, but they are also the most overlooked. Many people take the building envelope for granted and don’t give it the proper attention and care it needs to keep people safe and comfortable inside. Since the parts of a building envelope take the most abuse from weather and other natural elements, infrared inspection services are often called to conduct an inspection. Here is a quick background on building envelopes. While there are three different components to a building envelope, they all have the same goals. Those goals include keeping cool or warm air inside, preventing water penetration, stopping air from entering in from the outside and drying out after rain to prevent mold and rotting. When any of these three components are compromised for any reason, thermal imaging services can be used to determine the severity of the damage. Sometimes property owners may not even realize the damage to the building envelope, so thermal imaging services can also be used to prevent disasters from occurring. You can’t completely protect a building envelope. Weather and natural disasters occur all the time, so the main thing you can do to protect a building envelope is to maintain it as much as possible, including preventative maintenance. Even if the building is in a climate where harsh weather doesn’t occur often, it is still exposed to sun, wind and rain at the very least. All of these elements could combine to wear on a building envelope over time, and thermographic scanning can help detect those areas that are worn down. Due to the importance and function of a building envelope, it’s critical to conduct regular thermographic scanning through professional infrared inspection services. Some issues with the building envelope can’t be seen with the naked eye, but infrared technology can detect potentially serious issues before they become a big factor. Building owners may not be aware that moisture is present in the roof or in the walls. There may even be a slight air leak in those areas as well. Being aware of these issues before they become a large problem will help keep building envelopes healthy and stable for the long-term. Infrared Consulting Services has over 30 years of experience dealing with and preventing issues related to building envelopes. Our experienced and certified thermographers will be able to identify issues before they become a big headache for your company. For more information on the importance of maintaining a building envelope, or to book your thermographic scanning appointment, be sure to contact us. Anyone who deals with maintaining electrical systems has likely heard of infrared windows. However, since these windows aren’t widely used, some professionals don’t know much about them. As the world of infrared detection technology continues to evolve, the use of infrared windows is expected to become more popular. These windows allow thermographic imaging professionals to do their jobs more efficiently, accurately and also save businesses money on their inspections. Here are some of the main reasons why infrared windows may be the thing of the future. Most electrical components are covered by metal or another solid material. This presents a challenge for infrared inspection services, since they need a clear line of sight in order to effectively use their equipment. These covers are necessary from a business safety standpoint, but they also come with great risks to thermographers during the infrared scan. Infrared windows are known as the solution to this problem. The thermographers will no longer have to spend time removing panels and covers and putting them back on afterward. The infrared window has either a plastic or metal frame and supports an infrared transmissive optic, with a cover to protect the optic when it’s not needed. It’s important for all electrical enclosures to have an infrared window. When infrared inspection services come into a business to conduct a survey, they need to have access to all equipment. Having an infrared window installed on each of the enclosures will allow the thermographer to get the thermal images they need quickly so no time will be wasted. However, installing infrared windows isn’t cheap, and the cost can add up depending on how many electrical enclosures you have. If your business is forced to limit the amount of infrared windows you can install, choose the enclosures that are difficult to open, have different safety hazards and need frequent inspections. It may seem like infrared windows are only beneficial to infrared thermographers. That is true from a functionality standpoint, but businesses can also benefit from them. If your entire shop or workplace has infrared windows on each electrical enclosure, you could reduce the time spent on your infrared inspection significantly. One of the main reasons why a thermographic imaging inspection takes so long is because the thermographer has to remove covers in order to get a clear view of the equipment to inspect. The quicker the process takes, the more money a business saves. Plus, the accuracy is going to be much higher with each inspection since there are no obstructions with the infrared windows. Infrared Consulting Services has over 30 years of experience in the industry and knows exactly how to help your business save time and money. Be sure to contact us to learn more about infrared windows and to set up an appointment for your infrared testing needs. http://irtest.com/wp-content/uploads/2017/06/Blog-20617200ftl.jpeg 3264 4896 InfraRedConsulting http://irtest.com/wp-content/uploads/2014/11/infrared-testing-service-logo.png InfraRedConsulting2017-06-06 08:00:432017-06-01 04:37:11Are Infrared Windows the Thing of the Future? Five Reasons You Should Get Your Roof Inspected… Before It’s Too Late! A leaky roof can cause some serious damage to a building. Not only will the building be affected, but businesses sometimes have to shut down temporarily if the leaking is bad enough. The bad thing is once you notice a leaking roof, it’s too little too late. It usually takes a long time for roof moisture to become visible to the naked eye, which is why a frequent commercial roof inspection is critical. Not convinced? 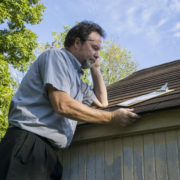 Here are several things that could happen if you don’t get your roof inspected often enough. When you have roof moisture, mold and mildew will begin to grow. As the temperature heats up and cools down, it will only continue to grow and become more harmful. The worst possible scenario is the mold moving toward air ducts where everyone will be breathing it in. Infrared roof inspections can detect areas where mold and mildew are susceptible to growing. This way you can fix the issue before the growth occurs. If your roof is leaking, chances are there are holes in the insulation, drywall and everywhere in between. This gives your interior hot or cool air the chance to escape, leading to higher energy bills. An infrared thermography inspection can see weak spots in a roof where air could be leaking out. Everyone knows electricity and water don’t mix. If nothing else, a commercial roof inspection needs to be done often enough so you can rest easy knowing water won’t be entering your building and dripping on electrical equipment. Even the smallest leak in your roof could cause some serious damage. You could experience ceiling tiles or drywall peeling off and falling if a water leak doesn’t get fixed soon enough. Not only will you be putting your inventory at risk, but you’ll also be putting your employees and potential customers in danger as well. You can avoid all this possible damage by simply scheduling a commercial roof inspection on a regular basis. 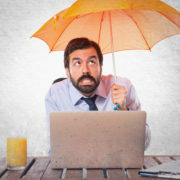 From a cost perspective, there’s nothing that can hurt a business’ finances than having to replace a roof unexpectedly. Roofs aren’t going to last forever, but with a regular infrared thermography inspection, you can extend its lifespan. Standing water is the biggest reason why a roof fails, but there are plenty of other reasons as well. At Infrared Consulting Services, we have over 30 years of experience providing commercial customers with the highest quality roof inspections. You never know when disaster can strike your business, but we are here to help make it a little more predictable. Don’t wait to get your roof inspected. Be sure to contact us today. http://irtest.com/wp-content/uploads/2017/05/Blog-60517200ftl.jpeg 4000 6000 InfraRedConsulting http://irtest.com/wp-content/uploads/2014/11/infrared-testing-service-logo.png InfraRedConsulting2017-05-25 08:00:562017-05-23 18:38:16Five Reasons You Should Get Your Roof Inspected... Before It's Too Late! 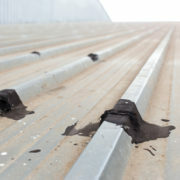 Many times you don’t even have to go on top of your commercial roof to determine it’s leaking. There are many different signs that could indicate your commercial roof needs to be repaired or replaced. You never want to have to deal with roof moisture getting in areas where it shouldn’t, which highlights the importance of getting a regular commercial roofing thermography inspection. Here are a few signs your commercial roof may need to be repaired. If you’re experiencing roof moisture, you may see signs like water stains on the ceilings, insect problems or high indoor humidity. These are most likely the result of a leaky roof and will need to be fixed immediately. Conducting an infrared roof moisture survey will help identify the source of the leak and any potential problems on the horizon as well. You might have an issue below the surface of your roof if you see sagging or low spots anywhere. These issues could occur because of ponding damaging the roof insulation, or there could be other issues as well. Regardless of the reason, a thermography inspection can identify exactly what the issue may be and the source of the issue too. You may not even know you need a commercial roof inspection until you get your energy bill one month and realize it’s much higher than normal. During the warm summer months, higher energy bills are expected, but you should especially look into getting an IR thermography survey conducted if the bills are much higher than normal. You could have a leak in your insulation or other part of the roof allowing air to escape. If you don’t get it fixed immediately, you’ll rack up more costs with your energy bills and likely come across more issues later on. If it’s raining a lot outside, but you don’t see much water coming off of the roof, then you can assume drains are clogged. This can result in serious ponding on your roof and quickly cause damage to it. Certified thermographers can help detect drainage issues, and whether the ponding caused any damage to the roof. You never want to delay getting a drainage issue fixed, since major problems could be on the horizon leading to costly roof repair, or even replacement. Infrared Consulting Services uses the best infrared detection technology on the market to ensure your commercial roof will remain in great shape. The best infrared inspection services can help detect commercial roof issues before they become a larger problem. Whether you think you have a roof moisture issue or not, now is the time to schedule your commercial roof inspection. Be sure to contact us at any time to set up an appointment. Roof moisture may appear to dry in the sun and wind. Yet, once roofing insulation gets wet, hazardous and costly problems get started almost immediately. A commercial roof inspection using IR thermography is imperative to detect and stop these potentially devastating issues in their tracks. Do you know why you can’t just fix a leak, but have to remove any wet insulation, too? It’s because water conducts energy, so instead of keeping energy inside the building, insulation that’s wet takes it out of the building. Wet insulation also adds weight to your building’s roof, which can cause structural damage such as warping. Trapped wetness degrades materials throughout the roofing system, rusting steel components and weakening energy efficiency. In fact, since the wetter the insulation the heavier it is, your entire building’s integrity is at risk. Of course, mold and mildew is dangerous to people, too. Mold takes hold within 24 to 48 hours. FEMA warns that besides being known allergens, some molds are seriously toxic. All molds, however, are capable of being detrimental to someone’s health. Every sound commercial roofing maintenance plan includes an annual IR thermography inspection. Wet insulation isn’t always noticeable until the mold and mildew become visible … and the problems become much more expensive to correct. They can also interfere with your operations, adding additional costs to an already unbudgeted expenditure. If your enterprise is under a low-slope or flat roof, commercial roofing thermography now could save you tens of thousands of dollars later. Call Infrared Consulting Services today, and let us find your wet insulation now! Infrared applications can sometimes be difficult to understand. This is especially true with commercial roofing thermography, since there are many different shapes, sizes, insulations, decks and more when it comes to the design of a roof. However, the main goal of any type of roof is to keep water out of the interior of the building, which is where thermographic imaging comes into play. When maintaining a commercial flat or low-sloped roof, there are many ways a thermography inspection can fit into the plan. A low-sloped roof generally has a slope of less than 3:12, while a flat roof has no slope at all. These types of roofs can cause major challenges for maintenance professionals, since mechanical drainage systems are used to ensure water is quickly removed from the roof. But if the roof eventually leaks, how do you know whether it’s time to replace it or if the holes can just be repaired? Replacing a roof can be an expensive burden for companies. However, getting a commercial roofing thermography inspection can help save a lot of money, time and headaches. Thermography inspection professionals can use their thermography instruments to find any hidden roof moisture trapped inside the roof. At this point, the owner can decide whether they just want to patch up the problem areas or spend the extra money to replace the entire roof. Many factors go into making this determination. Prior to purchasing a commercial building, business owners should conduct a commercial roof inspection to determine what kind of shape their roof is in. Roofs are not cheap, so if a building has a roof that is 30+ years old, there’s a chance it has some wear and tear if it hasn’t been replaced recently. A simple thermographic roof moisture survey can help you determine whether you’re making a good investment in the building. The science behind thermographic imaging is fascinating. When the sun transfers energy to the roof during the day, it heats up. At night, the roof radiates the heat back with a process known as radiational cooling. If a roof has any sort of moisture in the walls, it will remain warmer longer since wet areas retain heat longer. When a commercial roofing thermography inspection is conducted, these areas of uneven heat can be quickly identified as areas needing attention due to the presence of moisture. By completing a commercial roof inspection on a flat or low-sloped roof, business and property owners can save a lot of money and potential damage later on. When reviewing a roofing plan for a new building, an older building you’re looking to purchase or if you’re determining whether the roof needs to be repaired or replaced, a thermography inspection is the most efficient and effective way to go. Infrared Consulting Services has been in business for nearly 30 years and has helped keep thousands of commercial properties in great shape due to thermographic imaging. If you need help setting goals for your roofing plan review, be sure to contact us to see how we can help.